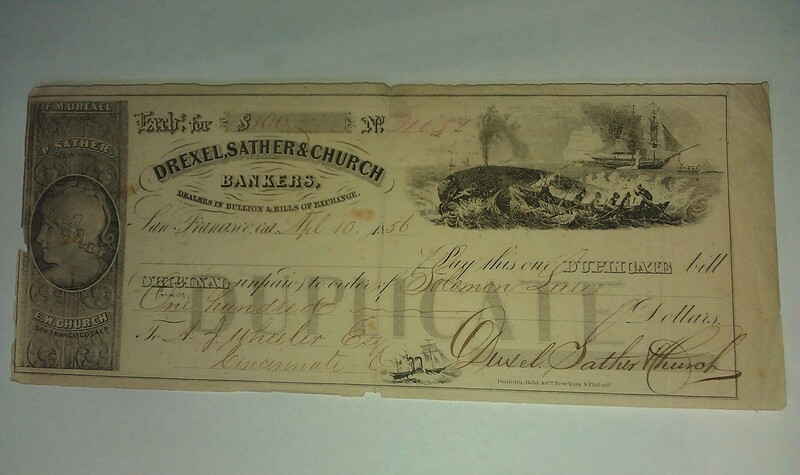 1856 San Francisco Drexel Sather Church Bankers Sailing Ship Whaler Harpon Whale Illustrated Exchang to A.J. Wheeler Esq. 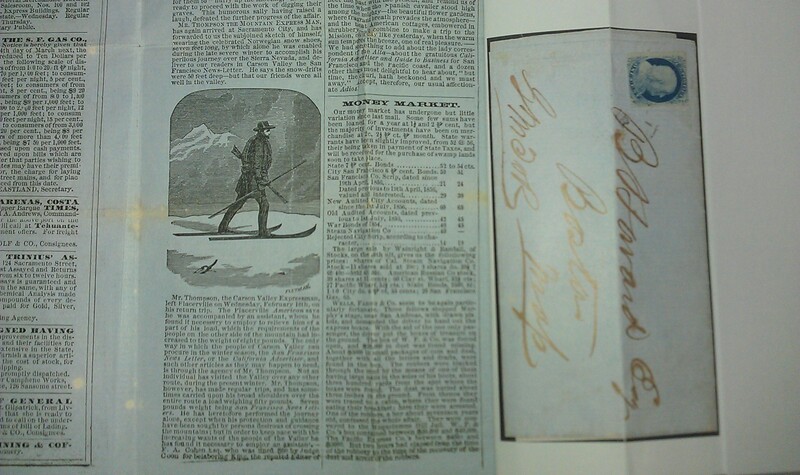 Cincinnati Ohio April 10 1856 Bill of Exchange with crease folds and paper chips at lower and left center edges. 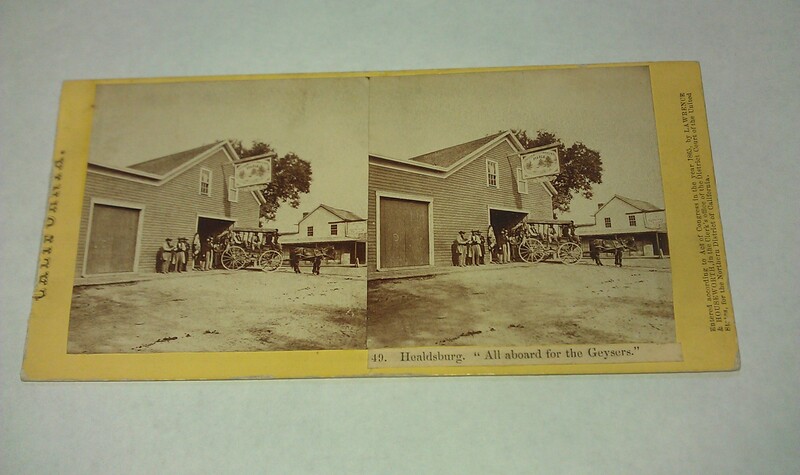 Printers - Dforth,Bald and Co. New York and Philada. 1889 Poverty Point Near Placerville El Dorado County J H Naper Mine Owner Estate Auction Poster June 15 1889 J.H. 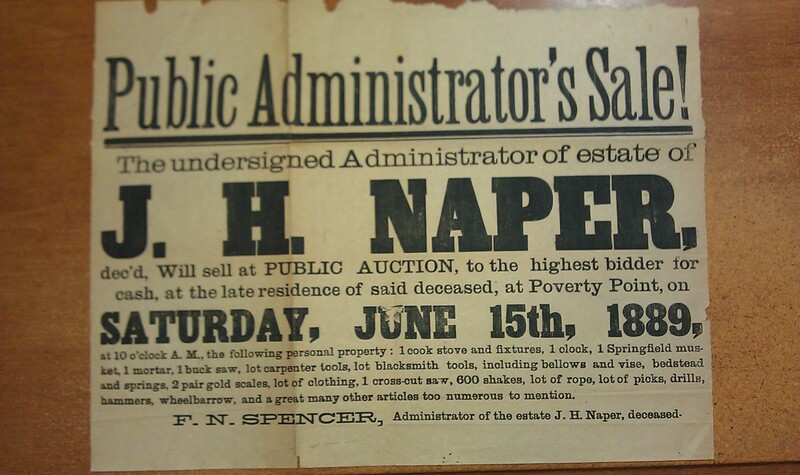 Naper public auction at Poverty Point, on the list of items includes his Springfield Musket,Blacksmith Tools, 2 Gold Scales,Wheelbarrow and Misc. Tools. F.N. Spencer Administrator of estate. Broadside poster measures 11 3/4 X 15 3/4 inches with crease folds. 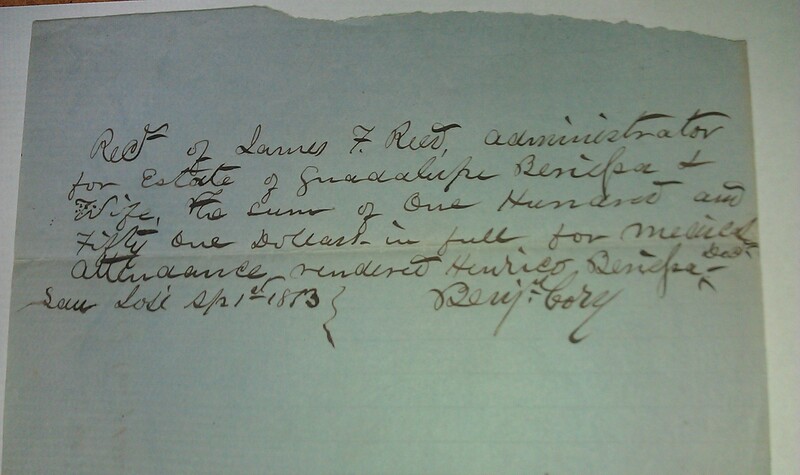 J. H. Naper was caved upon and killed in a mine at Poverty Point, near Placerville, El Dorado County, April 3 1889, Known as the Naper & Seeley quartz Mining claim at Poverty Point in Placerville township, mine 1400 feet in length.